The usual route into a career in hydrogeology is to obtain an MSc or PhD qualification in hydrogeology. These courses provide a firm foundation in hydrogeological knowledge, and are now a pre-requisite for most employment in hydrogeology. Most people undertaking postgraduate courses in hydrogeology have an initial degree in geology or environmental science; however, a significant minority have geophysics, engineering, mathematics, physics or chemistry degrees, which reflects the breadth of hydrogeology as a discipline and the need for a range of specialists in groundwater work. More details are provided on the main types of qualification in each of the sections below. 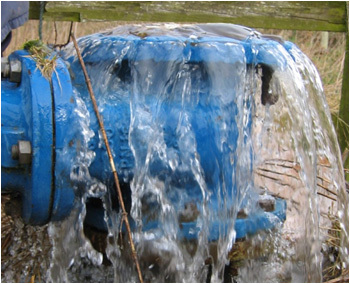 There are four main Hydrogeology MSc courses in the UK. However, signficant groundwater training is also provided by non-dedicated environmental MSc courses, which offer significant amounts of other material alongside hydrogeology. A PhD can offer a fulfilling route into a career in hydrogeology if you have a strong interest in research or a particular research question. However, it does take longer to become qualified, and unless you have a strong interest in research for its own sake, the MSc route offers a quicker and broader foundation to enter a career in hydrogeology. For those already with an environmental MSc or PhD degree, postgraduate diploma courses offer a means of acquiring more specialist hydrogeological knowledge, required for employment in groundwater, without having to do another MSc degree.